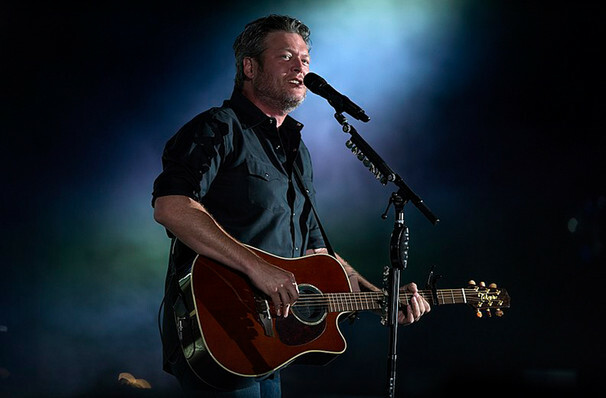 Blake Shelton heads out on his Friends And Heroes tour in 2019! This new engagement is aptly named as Shelton will feature some of his friends as well as the star's personal heroes. The country superstar will be stepping out on a 17 date tour which will kick off on February 14... A perfect Valentine's day date! His first ever single, Austin, was released in 2001 and spent five weeks at Number One. Since then Blake's career has gone from strength to strength, with his brand of rock-inflected Country earning him an impressive nine CMA Awards to his name. He's also reached a whole new audience with his role as a coach on NBC's The Voice talent show, and his starring part in the Angry Birds movie, providing the voice of Earl. Sound good to you? Share this page on social media and let your friends know about Blake Shelton at PPG Paints Arena. 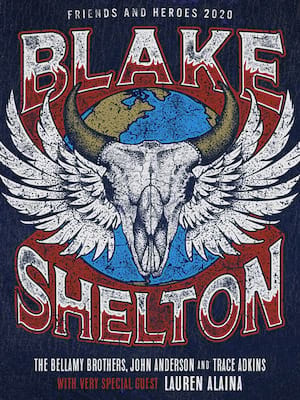 Please note: The term PPG Paints Arena and/or Blake Shelton as well as all associated graphics, logos, and/or other trademarks, tradenames or copyrights are the property of the PPG Paints Arena and/or Blake Shelton and are used herein for factual descriptive purposes only. We are in no way associated with or authorized by the PPG Paints Arena and/or Blake Shelton and neither that entity nor any of its affiliates have licensed or endorsed us to sell tickets, goods and or services in conjunction with their events.